Fidel Gonzalez Gutierrez, who looks a lot like Santa Claus in this arrest photo, is accused of selling cocaine to an undercover detective. 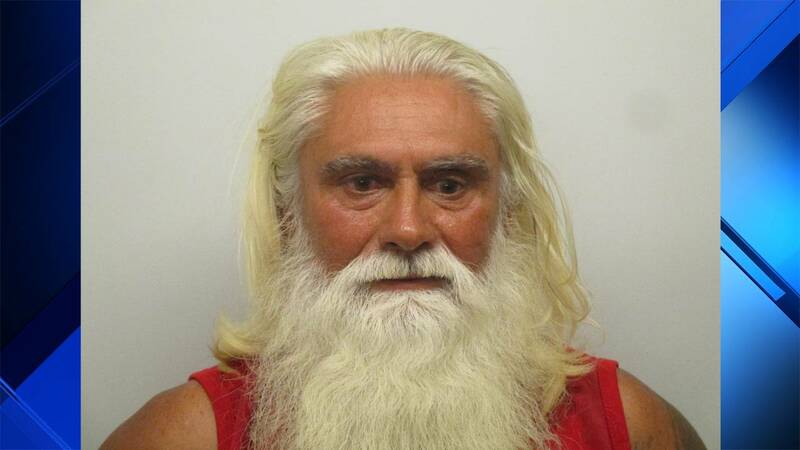 MARATHON, Fla. - A Florida Keys man with an uncanny resemblance to Santa Claus was arrested Tuesday on six outstanding warrants related to the sale of cocaine. Fidel Gonzalez Gutierrez, 58, of Marathon, faces six counts of selling cocaine within 1,000 feet of a place of worship and four counts of using a two-way communication device to facilitate a felony. Monroe County Sheriff's Office spokeswoman Becky Herrin said Gonzalez Gutierrez sold cocaine to an undercover detective on six occasions between late February and early March. Gonzalez Gutierrez was being held without bond Wednesday at a Monroe County jail. The jail website lists his occupation as fisherman, but his flowing white beard and red tank top in his arrest photograph could suggest a side gig as Santa Claus.